What’s the most populous state capital in the U.S.? Many are surprised to learn that it’s Phoenix, AZ. As of 2012, the population was nearly 1.5 million – up from 1 million in 1990. With an average annual temperature of 72.6 degrees, it certainly attracts many new residents in search of a warmer, low-humidity climate. As a result of its progressive growth, more and more companies have put their Southwest roots in Phoenix. Major retailers include Wal-Mart and Costco, who each have established distribution centers in the area. Population and commercial growth have made a Phoenix warehouse an ideal choice to store and deliver goods to this critical Southwest market. Weber’s Phoenix warehouse for Southwest distribution complements our region-wide warehousing and freight network in the West. 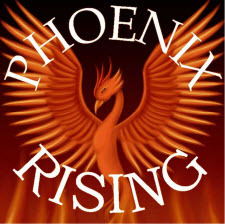 To learn more about our Phoenix operation, contact us on the web or call 855-GOWEBER (469-3237).